Sometimes along our journey we have what I like to call a good problem to have. Those are the best types of problems even though they require a little finagling to work around. The good news is that I have lost 40 pounds! The bad is that all of my clothing in my current summer capsule no longer fit. I’ve been donating my clothing throughout this last year: got down to the bare bones, created a capsule and now, I have worn them as long as I can. In an effort to spend less, I have been enjoying my clothes and wearing them as long as possible. But it got to the point where I was overall frumpy. My capsule wasn’t cohesive enough to be practical, and my clothes were swallowing me whole. Since my solution is not to gain the weight back, I had to dip into my ‘spending less’ focus. This has allowed me to stay in line with all that I am trying to accomplish. I spent $80.00 total and now have a complete, cohesive, workable, multi-season capsule wardrobe. 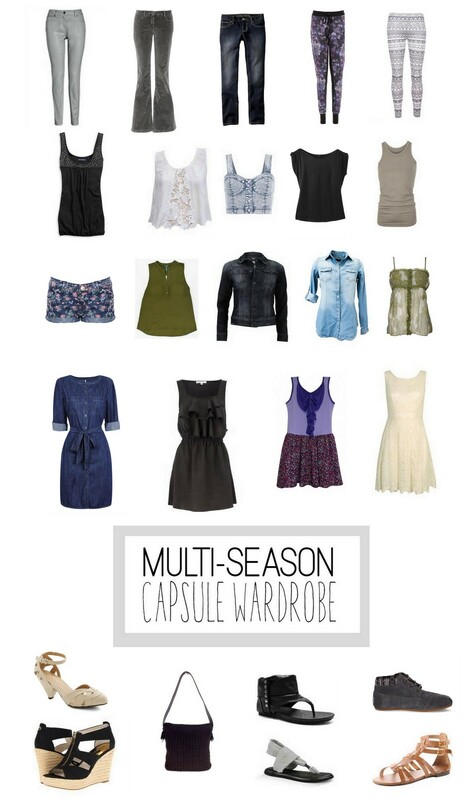 I present to you my new multi-season capsule wardrobe! I plan on this carrying over into fall by adding a few pieces here and there to battle the cooler weather in the near future. I am really excited about this capsule. It shows my personality along with a palette that is a neutral, with just enough detail and color to not be so monotone and boring. It is also easily functional throughout most of the seasons; only needing to add warmer pieces when needed. Last night I felt so free letting go of the old me. I was able to rid myself of the clothing that no longer served me with absolutely no hesitation. I kept a few pieces that I love and added new second-hand pieces giving those thrifted items a new and fabulous second life! Minimalism isn’t about deprivation and rules. It is about functionality and loving what you have. It’s also about spending wisely and being your best self. It’s OK to edit your life – clothing, relationships, hobbies, careers – as a matter of fact, it’s imperative because human beings are ever-changing. What’s important is knowing that it’s OK to let go to the past. You have no obligation to keep everything you have ever acquired. You have permission to start over however many times you wish so that you may fully live, enjoy, and love all that was meant for pure joy. 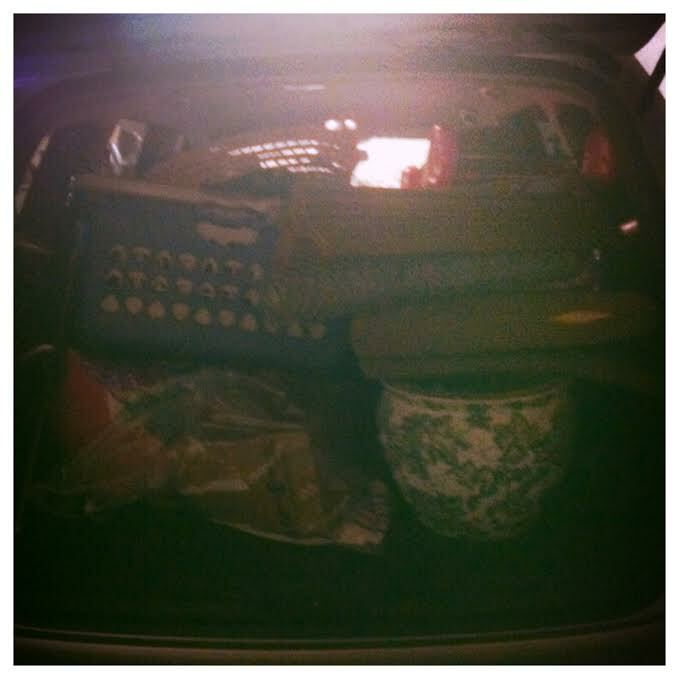 I dropped off another 2 car loads of clutter yesterday. It feels so amazing having all of this stuff gone and out of my life. 1. If it hasn’t been used in 1 year, it’s gone. 2. If it doesn’t spark any joy, it’s gone. 3. If it is a duplicate, it’s gone. 4. If it brings me negative energy, it’s gone. 5. If I was to pack up and move and wouldn’t take the item with me, it’s gone. Using this 5 step process has been a major success. I am coming to find out that the vast majority of my stuff is useless. The more I donate and get rid of, the happier I feel. My home is opening up and getting clean. It’s a new slate for my home to be a place of peace and calm. My home is going to be a place that fits our needs for today. Not a place to store items of the past or items ‘we hope to get around to using.’ It will only house things that are useful or beautiful or both. It’s a lot of work, but it is well worth it! Husband- The house looks naked now. As you can see, I am no marital expert on how to ‘do’ minimalism when one person is uber-focused on simplifying and the other could care less. This happens a lot with couples and I’m not mad about it at all. The fact is, I HAVE to get rid of the clutter right now. I am smothering in my on home and I have so much going on that I can’t keep it up. It has to be my haven and it’s been far from it. It’s been a burden. A place that drains my energy before I even walk inside. That’s not a home. That’s a problem. My husband and I didn’t marry and then purchase our things together. We both had our own lives before. This meant that we combined his life pre-me and my life pre-him. That’s a lot of junk y’all. Then, we had housewarming parties and moved a couple of times. He likes to hang on to stuff and I like to get rid of it. I am only decluttering my stuff. Which, by the way, is like 90% of everything. His man cave is the garage where he has free reign. But the functional decor and most of the day-to-day is mine, things that I bought either before marriage or during. So, I am tired of it. I want it gone. A lot of it comes from a negative energy source and it is just entirely TOO MUCH. My twenties were spent trying to find myself, create my home, then create a marital home with a baby. That’s a lot to figure out. Now that I am in my 30’s, I am in a different place. I want family time. I want to simplify so we can spend time together, go on ventures, and be calm. I want the children to grow in a place where there is space to be creative. I wish I knew the best way to collectively be on the same page with a husband or wife when one is trying to simplify. I don’t. However, I am thankful he is supportive (although unsure of my ability to just toss and go). It’s a martial learning curve for sure. Marriage is a compromise. The main thing is supporting each other, trying to understand, and come to a middle ground where everyone is comfy and happy. 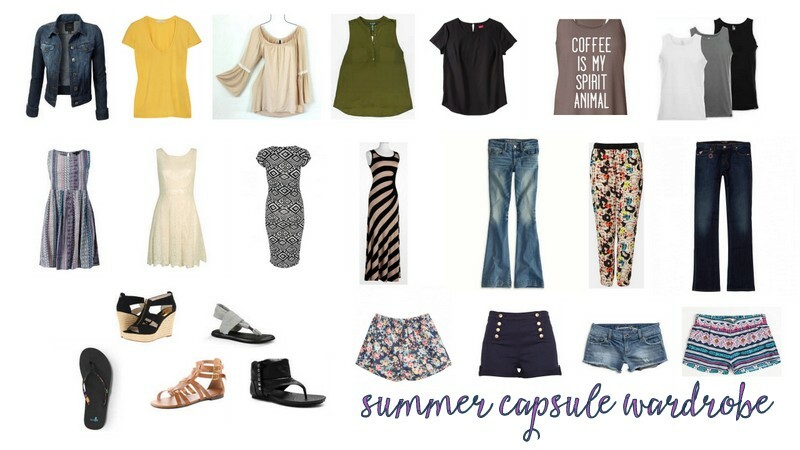 I finally created my capsule wardrobe and wanted to share. I’m super pumped to have some outfits slimmed down to my favorite pieces that I love to wear. I may add 2 or 3 more shirts to the mix as the weeks go on, but I’m not sure yet. My favorite thing about putting a capsule together like this is that you can see everything laid out at once. It helps see what items match (or in my case mix/match) and what items just doesn’t go at all. I have to insert here that these aren’t my exact pieces (some are) but they are pretty dang close to my actual items. Of course, this doesn’t include my pj’s, t-shirts and work-out gear. Some of my favs in my closet didn’t make the summer cut, but I am going to keep them and make a capsule for fall. I will just store the items out of the way for a few months and go from there.